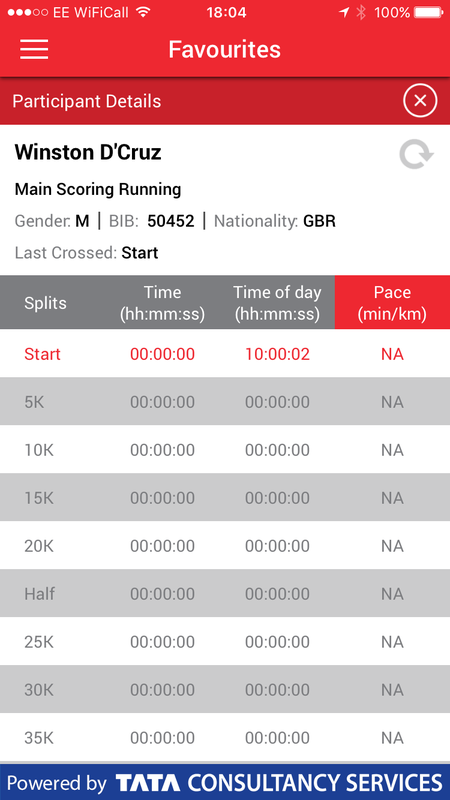 Whether you intend to follow the race from the comfort of your own home or intend to come up and support in person I have put this little guide together. Given it will take me 15 mins to get to the start point I anticipate to be at the halfway point at approximately 12:45. After that I really dont know I expect to complete the second half quite a bit slower. Keep an eye on me via the web !! After I finish I expect to be at the Brain Tumour Charity After Race Party approximately an hour later. I would be happy to see anyone there, Just tell them the Fat Bloke sent you !! Everyone is welcome. The address of the party is Kings College London, Strand Campus, London, WC2R 2LS. Every Sunday if I can I listen to Sound of the Seventies hosted by Johnnie Walker. I love this show and I love Johnnie but the plonker did not mention my name !! I know it was for me as it mentions me in the bath and this was the song I asked for last week ( he has played it a week late). Not often you get a request played on National Radio !!!! Fat Bloke feeling optimistic !!! Fat Bloke has a grumble !!! Today was tough. Hated the last 2 miles. My fault I was bored and maybe started a bit too quick. Anyway did 17.4 miles no stopping, no walking on my feet for 3:20 11:29/mile. This really is a hard hard challenge I am good for nothing for the rest of the day !!!. I will try and do some more of these video blogs whilst in the last stages of my training 4 weeks to go !!! Fat Bloke Gets His Number !!! This really is a lifetime ambition and to be able to do it for a charity so close to my heart is a real privilege. Everything is aching but nothing is broken just two long runs over the next two Sundays and then its time for shorter runs, resting and carbs in prepartion for the big day. Looking forward to the carb loading !! I will be blogging more regulary as the big day gets closer. Can’t tell you how excited I am about this !! Training is going OK at the moment and yesterdays Half Marathon was brilliant for my confidence. It was hilly and windy and I never stopped or walked at all. My friend, mentor, coach and veteran of many many marathons, Mervyn Phillips asked me to do it between 2:30 and 2:40 and I finished in 2:33. At 7 miles my average pace was 11:29 and at the finish it was 11:36 so very consistent. Thanks to all that came out to support as well as those that have encouraged online, it means so much to me. 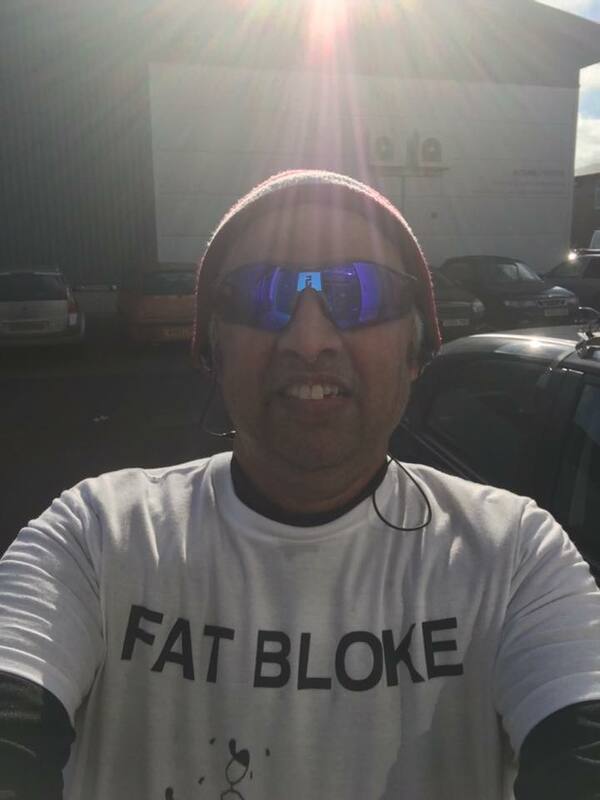 Follow the Fat Bloke at the Brentwood Half Marathon !!! 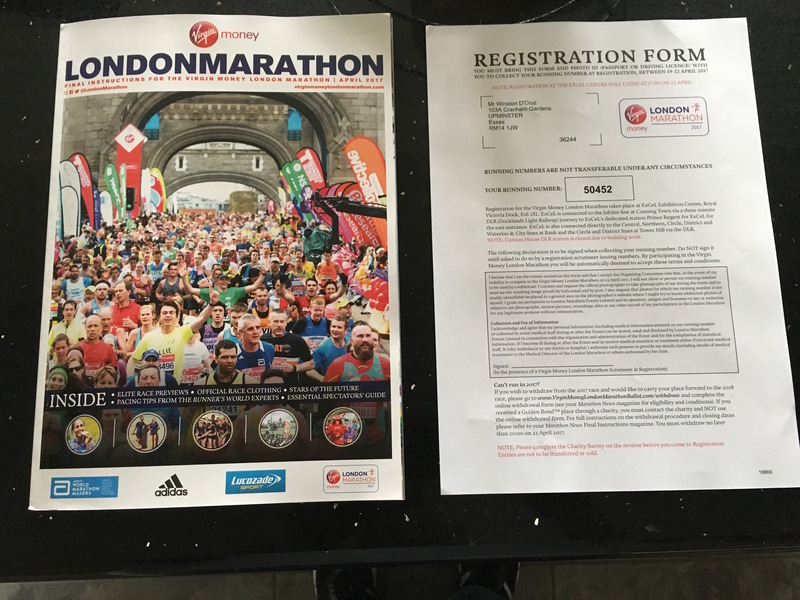 This Sunday 19th March in preparation for the London Marathon I will be running the Brentwood Half Marathon. Please feel free to come along and give me a cheer. It really helps when the going gets tough to get a smile and a wave from a familiar face !!! That said you can follow me from the comfort of your armchair by signing up here for text/social media alerts.